MacGyver is gearing up for season two. Recently, the cast posted photos as they prepared to film the new season of the CBS TV show. A reboot of the 1980s action drama, MacGyver follows a twenty-something Angus “Mac” MacGyver (Lucas Till) as he creates a secret organization within the US government and uses his extraordinary talent for unconventional problem solving and vast scientific knowledge to save lives. The cast also includes George Eads, Sandrine Holt, Tristin Mays, and Justin Hires. Season two of MacGyver begins production soon. The new season premieres on CBS on September 29th at 8 p.m. ET/PT. @lucastill gearing up for #macgyver Season 2!! Happy 4th everyone!! What do you think? Did you see season one of MacGyver? Will you watch season two? Did they film at Stone Mountain Ga? Just learned an episode of MacGyver is filming across the road from our home in the Atlanta area. Lots of police cars, film production trucks, etc. Wish I could get a view of the actors on the show. Love George Eads. Watched him on NCIS Las Vegas. He is funny on this show. 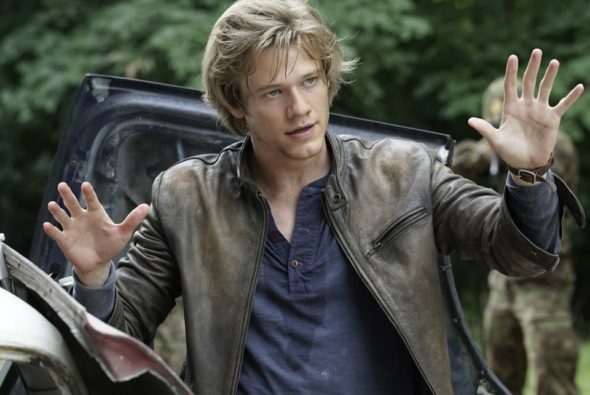 Cute Lucas Till. The cast is great together. Action shows are great to watch.